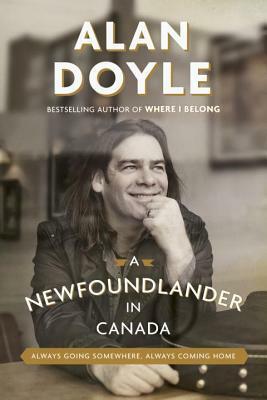 From Goodreads ~ Armed with the same personable, candid style found in his first book, Alan Doyle turns his perspective outward from Petty Harbour toward mainland Canada, reflecting on what it was like to venture away from the comforts of home and the familiarity of the island. Often in a van, sometimes in a bus, occasionally in a car with broken wipers "using Bob's belt and a rope found by Paddy's Pond" to pull them back and forth, Alan and his bandmates charted new territory, and he constantly measured what he saw of the vast country against what his forefathers once called the Demon Canada. In a period punctuated by triumphant leaps forward for the band, deflating steps backward and everything in between - opening for Barney the Dinosaur at an outdoor music festival, being propositioned at a gas station mail-order bride service in Alberta, drinking moonshine with an elderly church-goer on a Sunday morning in PEI - Alan's few established notions about Canada were often debunked and his own identity as a Newfoundlander was constantly challenged. Touring the country, he also discovered how others view Newfoundlanders and how skewed these images can sometimes be. Asked to play in front of the Queen at a massive Canada Day festival on Parliament Hill, the concert organizers assured Alan and his bandmates that the best way to showcase Newfoundland culture was for them to be towed onto stage in a dory and introduced not as Newfoundlanders but as "Newfies." The boys were not amused. 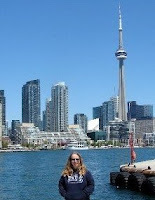 I'm a fan of Great Big Sea and had seen them many times in concert over the years. I discovered them in the mid 1990s when they were just starting out. Alan Doyle was one of the members in Great Big Sea. I read his first book, Where I Belong, a couple years ago and enjoyed it. This book is Alan's memoir and a collection of his memories, starting just after the band was formed in 1992. He starts by giving a bit of history of how Newfoundland had joined Canada (or Canada joined Newfoundland, depending on your point of view) in 1949. He then tells of his adventures in various cities and provinces across the country as Great Big Sea made their way from Newfoundland to British Columbia as their popularity and awareness grew. He had lots of funny stories to tell such as finding accommodations and renting vehicles, partying with locals and the concert line-ups they were in (they have opened for Barney and Junkhouse!). I liked the writing style ... I thought it was honest and humorous. I bet Doyle would be a fun guy to sit and have a beer with. The dialogue is great because it's written phonetically and I could hear Newfoundland accents when I read it (he devotes some time to acknowledging that Newfoundland has it's own dialect). There is some swearing swearing. This was a fun and interesting book about a proud young Newfoundland band who played their version of traditional songs that started with not a lot but had dreams of making it big (which they have). It would have been nice to include some pictures. I'd recommend this book.